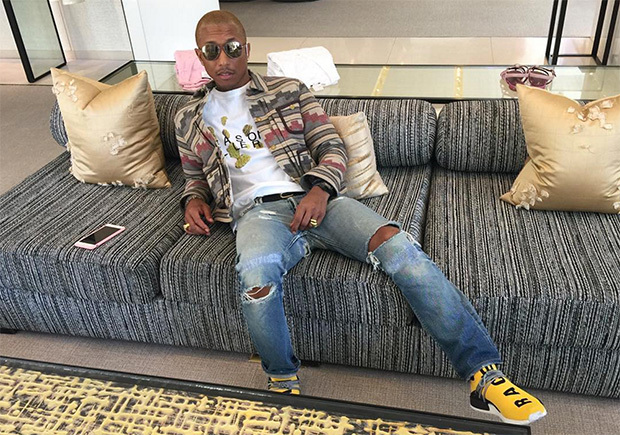 The adidas NMD continues to expand its head-turning catalog with the help of style icon Pharrell. 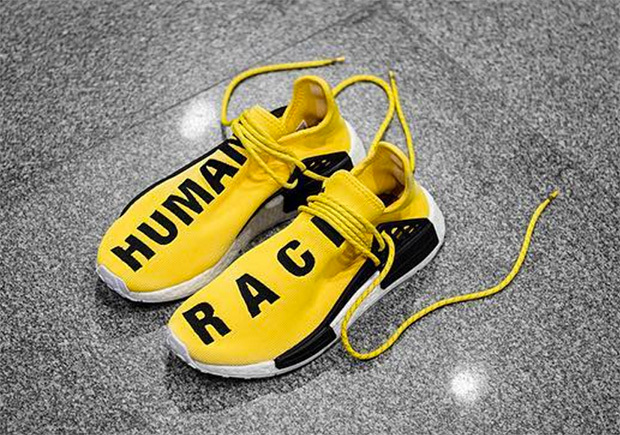 The latest collaborative colorway is known as the “Human Race” thanks to a bold callout on the yellow Primeknit upper while accents of black land on the midsole to match the oversized lettering. 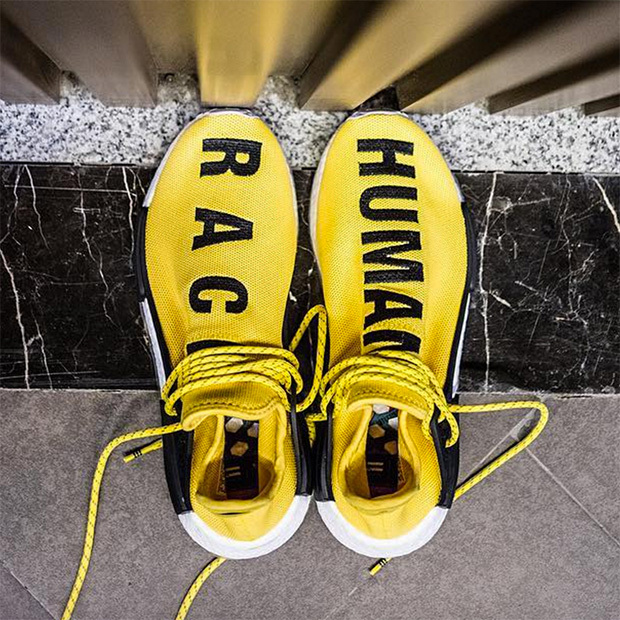 Today we get news that the Pharrell x adidas NMD “Human Race” will arrive at select retailers this Friday, July 22nd. 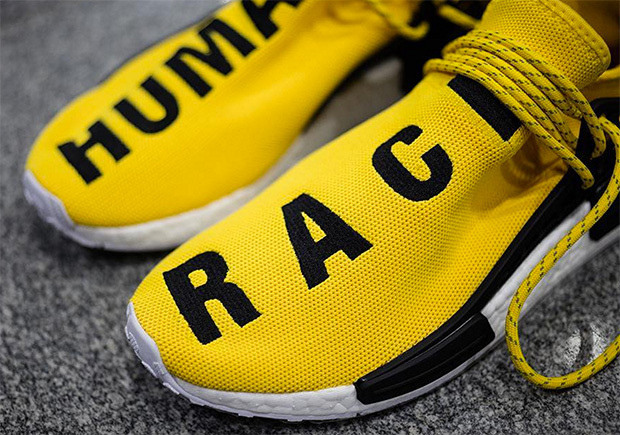 Check out a brief preview below and let us know what you think of this NMD collaboration by taking your thoughts to the comments section.